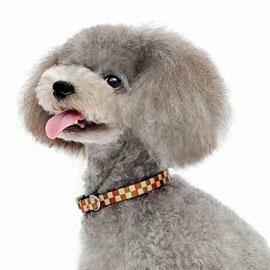 Snazzy fabric dog collar has an Integrated graphic design pattern made of reinforced polyester fiber provides the necessary strength while retaining a smooth modern look and feel. Dogo's Contempo collar has a really classy checker design. Matching Contempo Checker lead available.